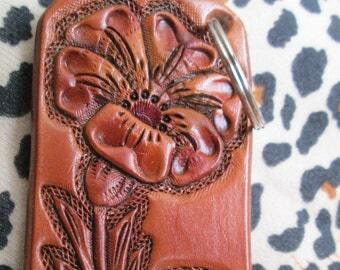 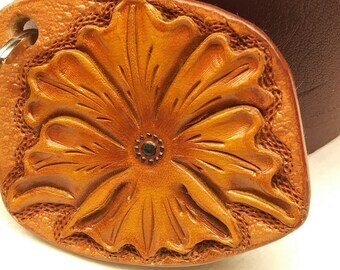 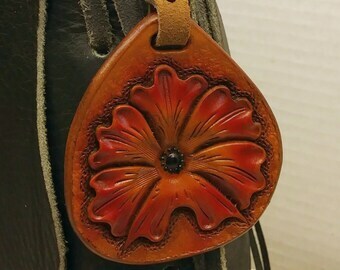 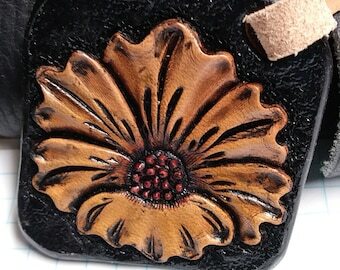 Leather floral charm is custom hand tooled onto saddle skirting leather and would go great with handbags, shoulder bags, tote bags, briefcases and/or zipper pulls. 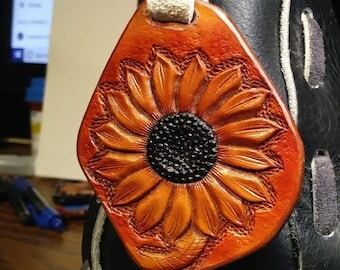 Tooling style on this gorgeous leather charm is Western finished in a beautiful array of color yellow through red with hand painted black pistil. 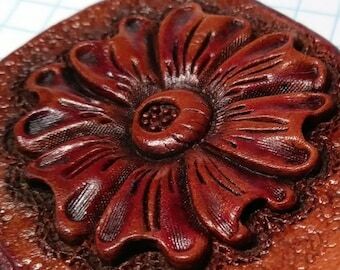 The colors dry brushed giving a stunning effect. 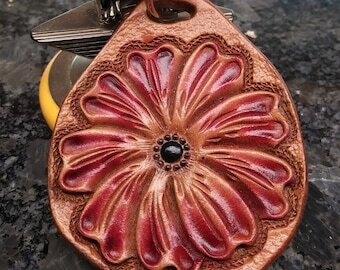 The charms tooled, oiled, edges beveled, and sanded. 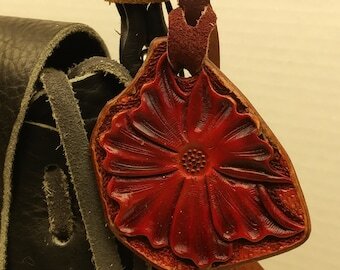 All colors applied, and edges burnished in a crimson red. 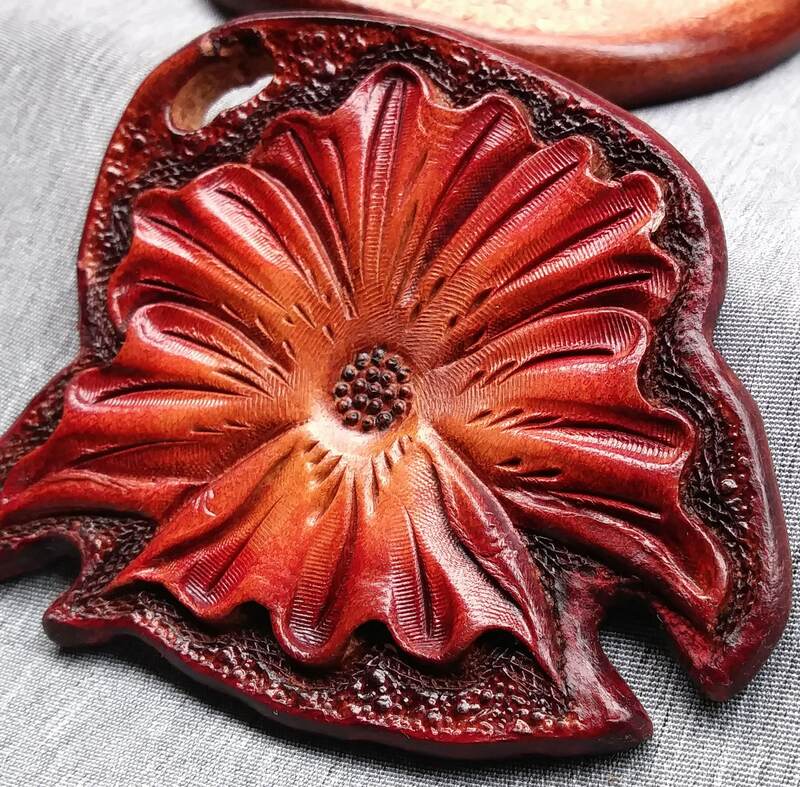 The white vegetable tanned leather attachment strap measures between 3/8 and 7/16" wide by 6 3/4" in length after being choked onto charm, The overall length is 9" which still has to be choked on more time. 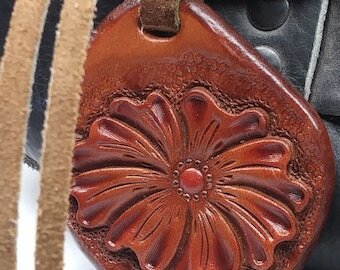 The charm measures 1 5/8 x 2 3/4". 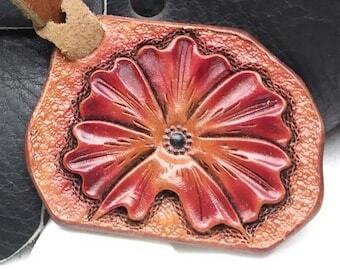 It's a beautiful piece just waiting to be delivered!